To learn more about White Horse bridge repairs and our other projects, contact our office. Klondike Welding Ltd. is proud to be a Certificate of Recognition (COR) certified company. 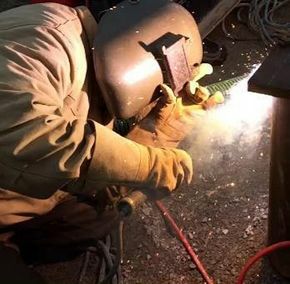 Klondike Welding Ltd. is certified with the Canadian Welding Bureau (CWB) and is committed to the quality of excellence associated with the association. The company is certified to CSA Standard W47.1 in Division 2. Klondike Welding Ltd. also has a CWB certified structural engineer on retainer.